Orlando is getting a new theme park, and you might want to get your fins up in anticipation. 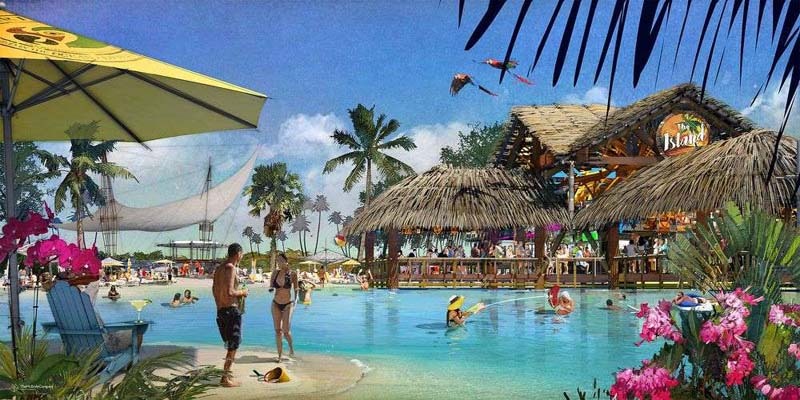 The Margaritaville Resort Orlando—one of the latest projects in Jimmy Buffett‘s ever-expanding empire of restaurants, hotels, casinos and even retirement homes—is set to open in January of 2019, and they just announced plans for an on-property water park. 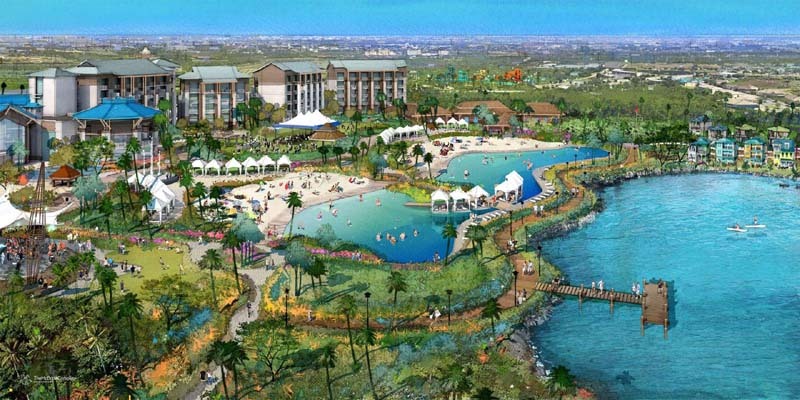 H20 Live!, which will open in the spring, is being touted in the resort’s press release as central Florida’s “most immersive water park,” and will include nine thrill rides, a lazy river, a wave pool, a kids’ area, and a family-friendly river raft adventure. For the parrotheads looking for a more chill experience, there will be “tropically-inspired havens” throughout the property which boast hammocks, cabanas and sandy beaches, as well as adults-only areas for tropical cocktails. Taking a cue from Universal Orlando Resort’s Volcano Bay, the park will operate on a wristband system called Vantage, which guests will sync with an app on their phone. The wristbands will play music and create lighting effects on certain slides and allow people to take photo and video for instant social media posts—hopefully solving the problem of risking a wet phone for the sake of an Instagram shot. The park is just one component of the expansive resort, which is situated across the highway from Disney’s Animal Kingdom park. Accommodation options include The Margaritaville Hotel—now booking reservations in its 184 guest rooms with rates starting around $179 per night—and the Margaritaville Cottages, which provide the comforts of home and are available to own for those who are looking to take a permanent vacation. 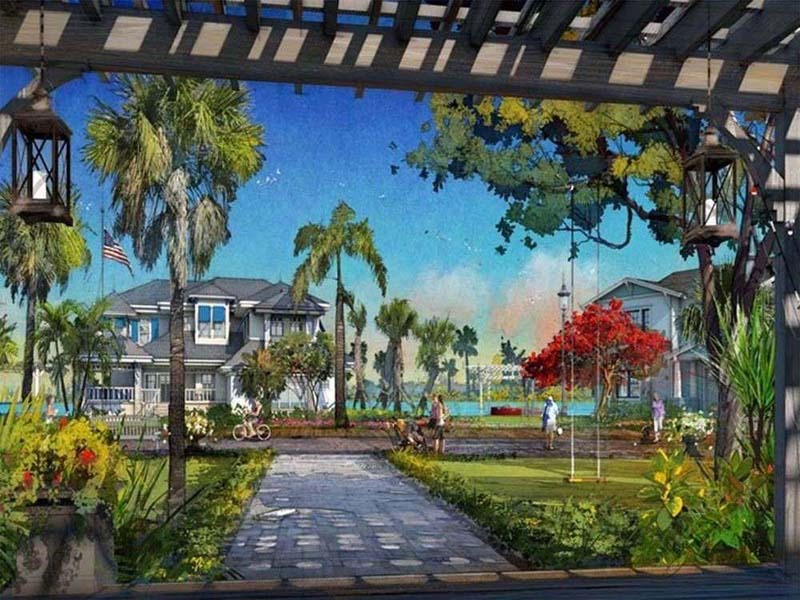 The resort will also be home to Sunset Walk, a shopping, dining, and entertainment hub in the style of Disney Springs or the Universal Citywalk. The open-air space will house 23 different restaurants, some of which will begin opening as early as November 2018. In lieu of a monorail, each section of the resort will be connected through a trolley system—though it is also walkable. 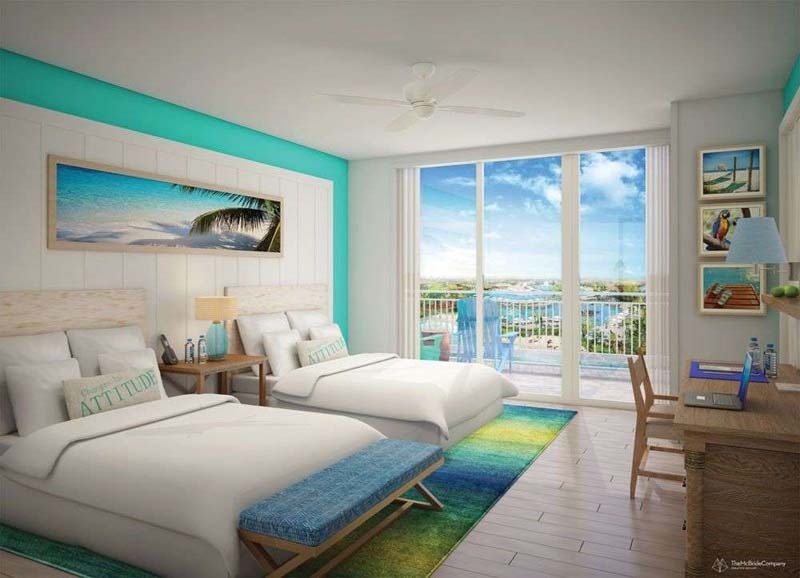 While arguably their most ambitious project to date, this is one of seven Margaritaville resorts slated to open in the coming months, with other properties in the works in New York City, Costa Rica, The Bahamas, Nashville and the Ozarks.